Dr. Abraham P. Cano Freshman Academy was selected from over 1,000 schools worldwide that will participate in the new Pre-Advanced Placement Program this fall. The new program offers instructional resources and classroom-based assessments to improve college readiness for all students. Pre-AP is designed to give all students the opportunity to learn the foundational knowledge and skills they need to be successful in Advanced Placement and other college-level coursework. The College Board selected Cano Freshman Academy as a partner who is committed to college readiness for all students. “It is exciting to be the only school in the Rio Grande Valley and one of 21 schools in Texas to have been chosen to blaze the trail in Pre-AP programming for students. 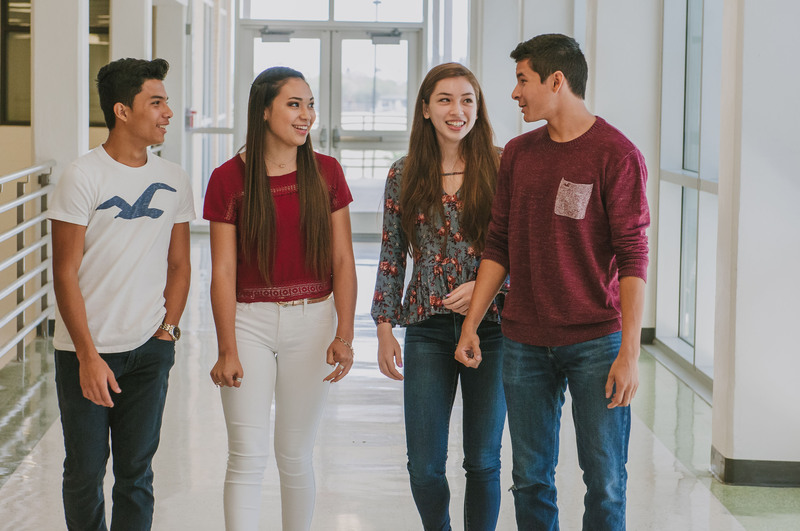 This opportunity is a perfect fit for the Harlingen CISD as it strives to provide educational excellence for all students,” said Vivian Bauer, Principal of Cano Freshman Academy. • Significantly increase the number of students who are able to access and complete college-level work—like AP—before leaving high school. • Improve the college readiness of all students. Cano Freshman Academy will receive an official Pre-AP designation for each of the courses and the chance to bring engaging coursework to all their students. This designation signals consistent, high standards in focused classes that help build, strengthen, and reinforce student’s content knowledge and skills. The three new ninth-grade courses provide teachers and students with instructional resources, classroom-based assessments, high-quality professional learning, and focused practice. Each Pre-AP course has been developed by committees of expert educators, including middle school, high school, and college faculty. These development committees work with the College Board to design effective instructional resources that emphasize and prioritize the content and skills that matter most for later high school coursework and college and career readiness. Pre-AP will continue to evolve through educator involvement, and the Dr. Abraham P. Cano Freshman Academy will be a critical partner. Throughout the initial cohort experience, Pre-AP course teachers will be encouraged to share feedback that will help shape the program in years to come. Parents of students who pre-registered for Pre-AP courses at the Cano Freshman Academy for the 2018-2019 school year can find out more at one of the information sessions to be held in the Cano Freshman Academy Cafeteria on Tuesday, July 24 and Wednesday, July 25at 6:30 p.m.